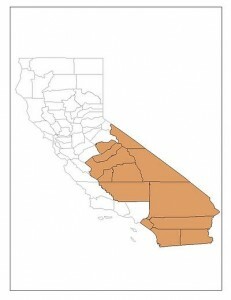 A minor bureaucrat in Riverside California made some headlines last week when he suggested California should split itself into two states. This isn’t total secession. The new state would still be a member of USG, just as West Virginia became a state by breaking off from Virginia in the summer of 1861. No one takes this seriously, and they shouldn’t, but it leads to some interesting questions. This is one of those areas where I think the Constitution gets things wrong. Seceding from a state should not be easy. But it also should not be as impossibly difficult as the Constitution currently makes it. Some of our present states are probably too big, and California is perhaps the best example of this phenomenon. Normally, dysfuctional state policies are constrained by the possibility of “voting with your feet.” If a state imposes overly high taxes, adopts flawed regulations, or provides poor public services, people and businesses will tend to migrate elsewhere, thereby incentivizing the state government to clean up its act in order to preserve its tax base. For reasons I discussed in this article, foot voters usually have incentives to be better-informed and more rational in their decision-making than ballot-box voters. In California’s case, however, this dynamic has been undercut by the state’s size and favorable geographic location. Because California is extremely large and controls most of the warm-weather coastal territory on the West Coast, people have been willing to put up with a lot of bad policies for the opportunity to live there. Competitive pressure on the state government would be much greater if there were three or four states occupying California’s present territory instead of one. The theory and some of the practical issues involved in this are discussed in the widely-unread Unchecked and Unbalanced. There, I argue against the notion that there are scale economies at work in large governmental units. If that were true, then places like Denmark would be failed states. And Switzerland would be a hopelessly failed state. Each Swiss canton is about the size of a county in the state of Maryland, and yet the cantons have more autonomy than U.S. states. Below the canton level, there is local government. A few years ago I read a lightweight history of how the states got their shapes. California broke all the rules because it had the gold and other minerals. Its borders run so long north-south because the elite wanted to control as much of the Sierra Nevada range as possible. That fact is not going to change their mind completely, but once people see the arbitrariness in this border-making process, then perhaps their imaginations might become just a tad more flexible when thinking about the status quo. to go through all that information. Seems like counties or coalitions of counties might be in a position to make decisions of whether or not to be part of a state. Of course, some states don’t have counties or are actively trying to relegate them to the status of mere boundaries. Mexican California (the ’48 Mexican Cession, I guess) extend east well past Salt Lake, and Gwin argued for a mega-state, which would then have the option of splitting into 5 or 6 smaller states (apparently Texas had been admitted with this right), creating more senate seats, and therefore more power for the Pacific coast. Proponents of the Sierras boundary countered that trying to impose statehood on 20 thousand Mormons was probably a bad idea. Besides, they feared the appearance that California was trying to resolve the slavery question (they’d already decided against) for such a large chunk of the country, which might reduce their chances of admission by a suspicious congress. Rabbit–thanks for the reference. Very interesting. There’s also been a long-standing split-the-state movement here in Washington State. The state has a very strong demographic, economic, and ideological divide that runs straight down the Cascade Mountains. As such, many of the people on the sparsely populated, libertarian-leaning East side have advocated splitting the state, and it’s not uncommon to see split-the-state signs and bumper stickers.